This is a sponsored post for Potter’s Porridge (Gluten-free, sugar free, preservative free). After trying this delicious porridge, I reached out to them asking if I could promote their product and host a giveaway. All opinions about the product are my own. For every single porridge purchase that you make, The Bread Brothers donates the equivalent amount to a local food bank. How awesome is that?! The Bread Brothers’ “buy one give one” mantra makes it easy to buy and feel good about the purchase, over and above the fact that the porridge is so good for you. Bert Compton and Ben Behunin began working together in 2009. Ben is a potter and a writer. Bert is a graphic designer and interpretive dancer (in his mind). Ben needed help designing his first book. Bert has awesome design skills. That project led to many others and a great friendship that has lasted more than a decade. Just a sampling of Ben’s beautiful pottery. You can actually purchase it on Potteryboy.com! 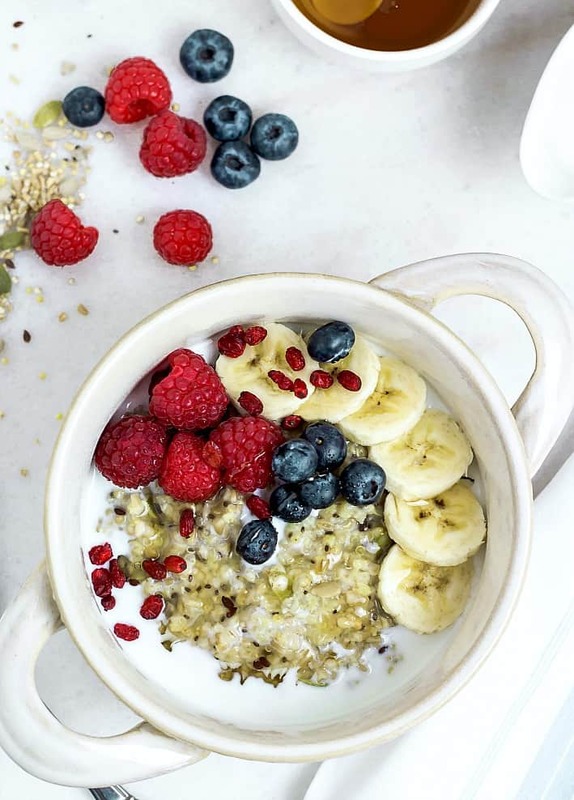 Having grown up on hot cereal—mostly cracked wheat and oatmeal, Ben was always looking for a cereal that satisfied his desire for something hearty, healthy and tasty. After a long and fruitless search, he began working on his own recipe in 2014. 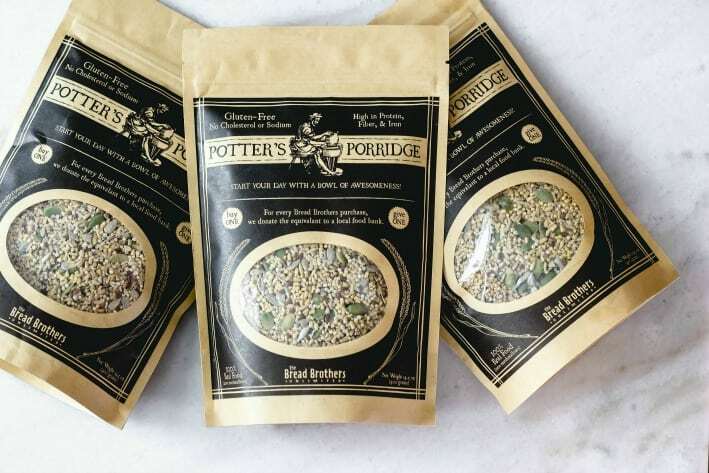 Over the years he developed what came to be known as Potter’s Porridge as soon as he began sharing it with family and friends. 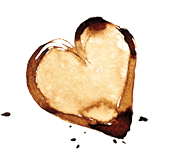 This became the first official offering that The Bread Brothers produced together, selling over eight hundred packets in less than a three weeks from Ben’s studio in 2018. “I just can’t get enough of it. I eat it three meals a day and I’ve never been so regular. It’s just plain awesome,” said one admiring fan, Josephine Adams, who shared Potter’s Porridge as neighbor gifts at Christmas time. When we began talking about a joint business venture, we both knew we wanted to do something different. We were fortunate enough to have been born in one of the richest countries in the world. We were able to afford an education. We had opportunities to dream and then follow those dreams. But we know that not everyone shares in those blessings. There are children and adults who go to bed hungry every night, even in our own community. We don’t like that. And so we decided we wanted to do our part to help improve the lives of others. After all, it’s hard to dream big when your belly is empty. So, when you buy a Bread Brother’s product, you’re not only feeding your family healthy food, you’re also helping to provide healthy food to people in your own community. Look for the Buy One, Give One symbol on all our products. It’s a powerful idea with powerful ramifications. Cheers to the aroma of fresh bread, Ben and Bert -Read the full story about how Potter’s Porridge came to be and to see more pottery that you can purchase as well as some of Ben’s books at Potterboy.com. These guys have a great story with a selfless message of giving back, which I loved. So, I reached out to them to see how I could spread the word in my little sphere of influence. Place 2/3 cup porridge with 2 cups water in the pressure cooker (I first place 1 teaspoon coconut oil in the pot first to prevent any sticking, but if you skip this step, it’s still easy to spoon out of the pot). Cook on High for 15 minutes and then do a quick release. This method makes 4 servings of about 1/2 cup each. Then I top it with fruit, milk of choice and a drizzle of honey. 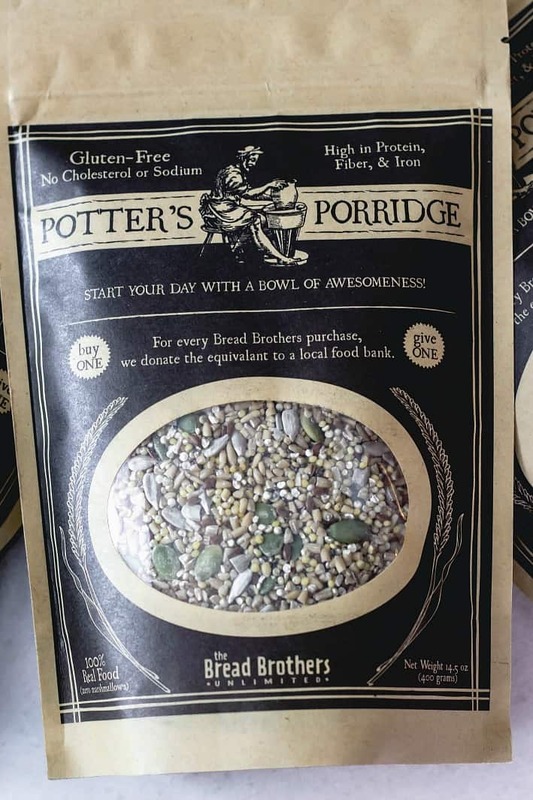 So, how can you win some Potter’s Porridge for yourself? You can either leave a comment on this post, that counts as one vote. And you can also win by going to my Instagram account @gooddinnermom and find the post with the porridge featured and follow the instructions there (which are to follow me on Instagram as well as Bread Brothers Unlimited, and place a comment on the post tagging a friend.) One vote here on my blog, but you can enter as many times as you like on Instagram. The giveaway will close on Monday, April 1, 2019 at 7am, MDT. Oh and the porridge isn’t just good eaten as shown here. I’ll be sharing a quick bread recipe that I think you’re going to love here very soon as well! Good luck and happy winning! I wish you all could win, but you all can buy the porridge and support this great cause to help feed others in need. 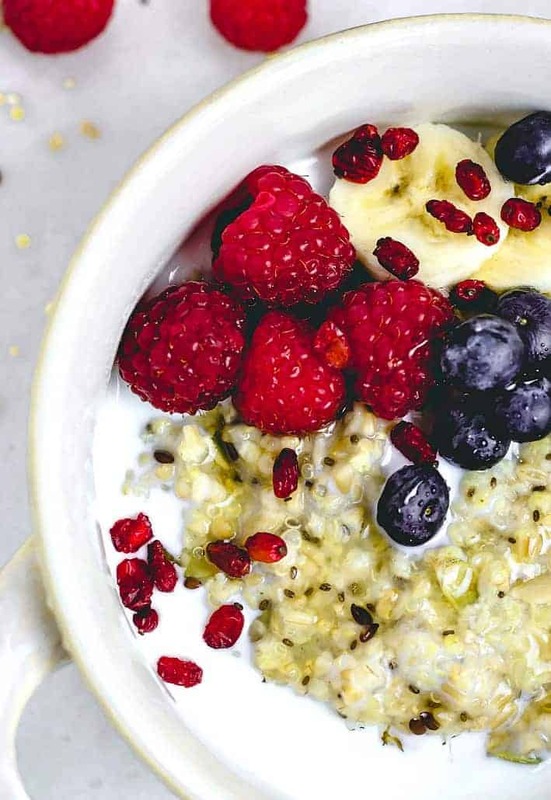 I’ve never had porridge, but this looks so good and easy. I like that you made it in the IP. I’m always looking for new ideas for using it. I’ve never heard of this before but it looks so good. I’d like to try it, so I’m going to look into it more. Hi Renee, It is a newer company. I love their product. You’re in the contest and good luck on winning! I’ve recently converted my husband from instant oatmeal packets to steel cut oats. I showed him your gorgeous photos and he said “That looks like a hearty breakfast. I’d try that tomorrow.” Sold! Jenn, well that just made my day! Thanks for the nice comment. Good luck! Such a hearty and delicious breakfast! So many ways to potentially flavor this, you could even go savory and put an egg on top. Can’t wait to try this out! 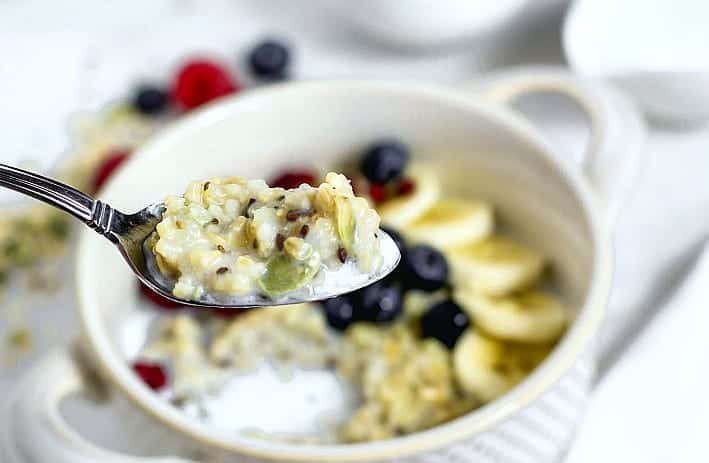 The porridge looks so tempting and sounds super filling and healthy. Can’t wait to read your post for your quick bread recipe! Oooh… this looks fantastic! Can’t wait to try it!! That porridge looks soooo good and I think I shall have it! It may become my new favorite. I can hardly wait. That porridge looks delicious, it is such a good breakfast choice. I love the mantra of buy one give one, giving products to food banks is so important. What a brilliant cause.